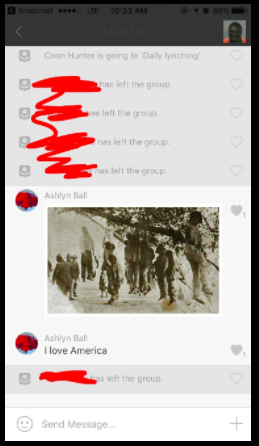 Trigger warning: These GroupMe messages are horrifically racist and hateful. In the days since Donald Trump’s election as President, there have been numerous reports of harassment toward minority groups in the United States. But this one is particularly ugly. 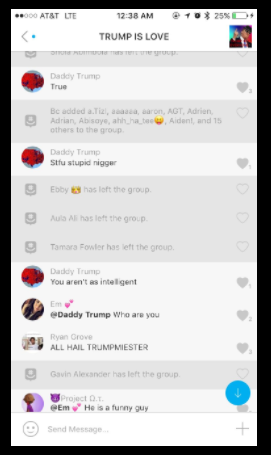 Black students at the University of Pennsylvania have been added to two different GroupMes en masse. 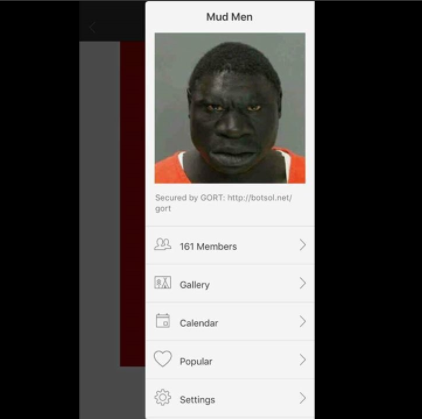 The groups are entitled “TRUMP IS LOVE” and “Mud Men” and both contain extremely racist language and images. 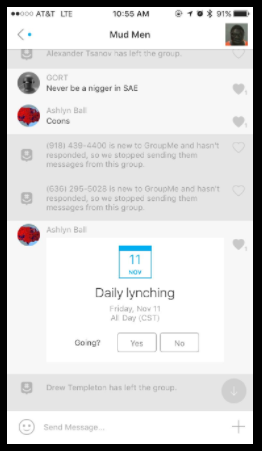 The two GroupMe chats, which each glamorize lynching and racist symbolizing were quickly brought to the attention of UPenn’s leadership. 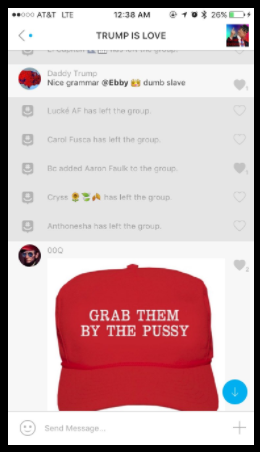 Maya Arthur, a Penn junior and programming chair for the United Minorities Council, said the group messages followed an incident from Thursday night where a group began chanting “Build The Wall” at campus bar Smokey Joe’s. 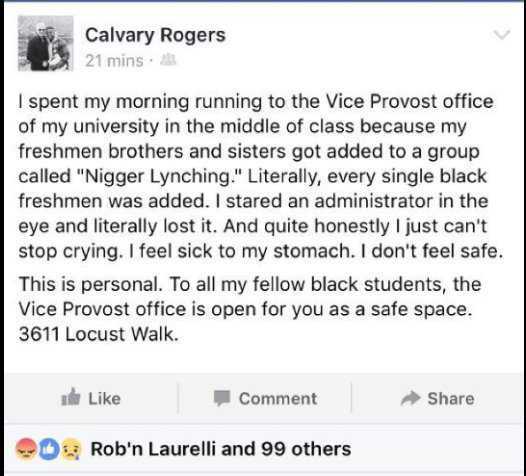 In the first few months of this semester, Arthur said, racist interactions like these had not been an issue. “This is definitely an outright response to Trump winning,” she said. I can only hope that the administration holds the perpetrators accountable, and that things go up from here.